It’s a simple plot and just one of Max’s adventures in the series, which typically focus on casual events and activities (Max’s Fun Day, Max Learns Sign Language, Max Goes to the Library). But what’s great about this book is that Chinese New Year is also treated like a casual event. It’s special to be sure, but the book doesn’t make a fuss about another culture. Max’s friend Lily invites him to a party with her family for the first day of Chinese New Year. Max helps them clean and decorate the day before, and helps them celebrate with sweet rice, cookies and sweet candy the next day. 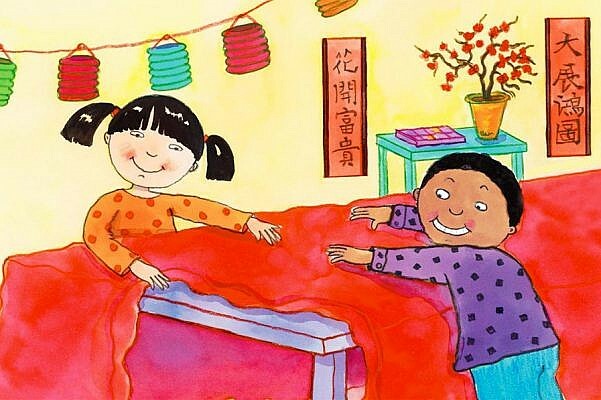 There’s some education on the traditions and good luck symbols, but the most important lesson for children to learn from Max is to embrace other cultures: “Max wants to celebrate the Chinese New Year with Lily every year.” Without overthinking it, Max gives readers a lot to think about. Notes: Simple illustrations. Lily’s father is a red head. A professor emeritus and literacy educator advised Klein on this book. Nicole Stempak Nicole is pursuing her master's degree in library and information science at Kent State University, where she also received her bachelor’s degree in journalism. She enjoys supporting local shop owners, dining at new places and quiet movies.